The ingredients in a Dirty Martini recipe are no secret; it's just olive juice, vodka and perhaps a little dry vermouth, right? In actuality, the Dirty Martini is a fun and interesting drink that will stand up to a bit of variation and creativity. While this cocktail uses vodka or gin, similar to a regular martini, it has that key ingredient of olive brine that gives it its distinctive salty, slightly bitter flavor. Try a couple of the following Dirty Martini recipes on for size, and see which one suits your taste buds. Try these three simple recipes to find the ideal Dirty Martini for those days when only the perfect cocktail will do. If a Dirty Martini recipe can be described as "classic", this is definitely the one. Due to the popularity of the vodka martini, which nearly supplanted the gin martini entirely, gin as a martini ingredient isn't quite so commonly used these days. However, gin is the original. To mix, place some ice in a glass, add your ingredients and stir gently. 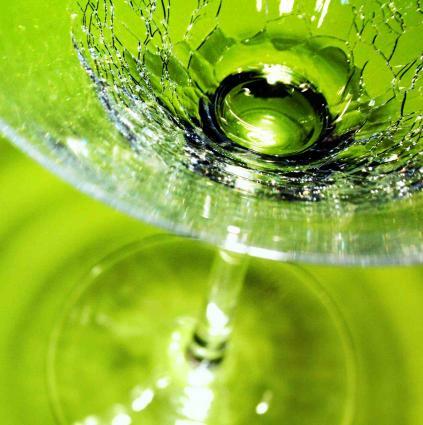 Strain the drink into a chilled martini glass, garnish with an olive or three and enjoy. For a truly good Dirty Martini, use a high quality gin. Tanqueray and Bombay Sapphire are two of the premium gins that will stand up to just about anything else you can buy, so they're always a safe bet. New Amsterdam gin has a hint of sweetness that may complement the olive juice taste. Give either a try. Noilly Prat and Dolin are some recommended vermouth brands. Try not to skimp on good vermouth, either; as it ages it begins to taste terrible. Dirty martinis made with vodka are usually shaken when mixed. Place some cracked ice in a cocktail shaker, add your liquid ingredients and shake gently (this keeps the drink from becoming too watery). Strain the mix into a chilled martini glass and add your preferred number of olives for garnish. At this point, you might wonder what made the vodka martini so popular? In short, the popularity can be attributed to two words: James Bond. Notice how the proportion of ingredients here have a tendency to "cancel" some of the olive flavor. Since vodka is essentially flavorless, the olive juice in this martini will taste decidedly more salty and astringent to the casual drinker. If you love olive juice and want your martini to taste like it even more, try two ounces of vodka, a tablespoon of vermouth, and a full ounce of olive juice. Remember, vodka is available in a range of quality, price and flavors; make sure that you choose wisely when you buy! This recipe is another spin on the Dirty Martini; it's a little something dubbed the "Pickletini" or the "Dirty Pickle". Gin works best in a pickle-flavored Dirty Martini recipe because the flavor complements the pickle juice without being overbearing. One thing to avoid with this recipe is adding too much vermouth; this will impart an unpleasant bitterness to what should be a strangely refreshing martini beverage. While this drink is similar in composition and consistency to a classic Dirty Martini, it's also a totally different drink, in a league of its own. Even if you don't particularly like it, try serving it to a group of friends for a wide range of reactions. If there's a drink that deserves your special touch, it's the Dirty Martini. So, don't shy away from a bit of experimentation. Whether you're using olive or pickle brine, you can try adding a tiny drop of green or yellow food coloring to give your martini a particularly interesting hue. You might even try mixing pickle and olive juice in varying quantities for a unique spin; it's up to you. Serving this martini with olives on the side is entirely appropriate, but perhaps a little blasé. Instead, use pickled okra or baby pickles for a drink your guests will never forget, guaranteed.